A first-of-its-kind outdoor interactive space in Boston, The Lawn On D Powered by Citizens Bank began as an experimental event landscape that brings together different communities, audiences and area residents for innovative programming and events in the epicenter of the South Boston Waterfront and South Boston neighborhoods. 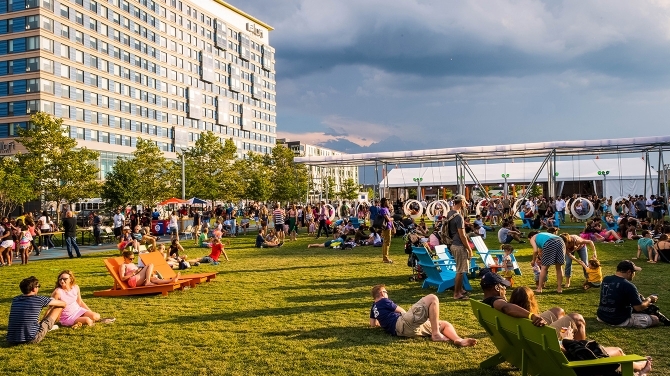 The Lawn On D is owned and operated by the Massachusetts Convention Center Authority (MCCA). 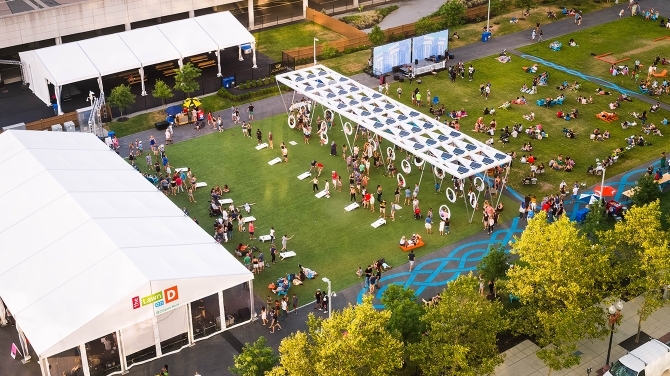 The Lawn On D is an event space designed for both public and private events and to encourage community engagement, foster creativity and integrate the Boston Convention & Exhibition Center (BCEC) into the urban fabric with arts, music, games, food & beverage, and other original programming. The Lawn On D is a 2.7-acre outdoor event space on D Street next to the BCEC. The site draws audiences from across the city and brings vitality to the neighborhood through inspired, high-caliber programming and events. 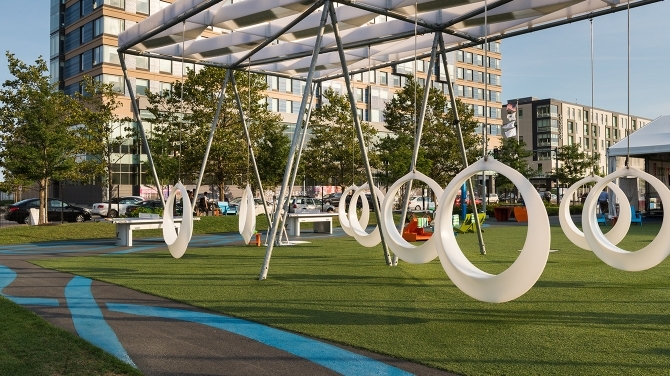 Recognizing its potential as an innovative private and public space, The Lawn On D is designed to further activate and engage the South Boston community. 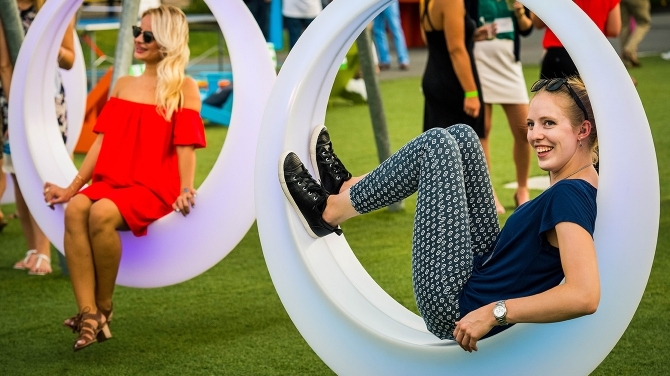 There is always something to see, do or experience at The Lawn On D. Open daily during designated hours, The Lawn On D provides a colorful collection of public seating and lounge chairs, interactive art exhibitions, assorted games such as bocce and ping-pong, and free Wi-Fi. The Lawn On D is the perfect place to relax, enjoy the South Boston neighborhood, and spend time with friends and family. The Lawn On D offers a vibrant space with freshly planted trees and greenery, paved walkways, picnic tables, and two pavilions. The versatile infrastructure allows for a variety of public and private events. Both pavilions come equipped with utilities and electrical connections, staging, lighting, security, furniture, lawn games, and free Wi-Fi access, which enable planners to bring their events to life in an energetic and truly unique lawn setting. Get started planning your event. Simply call us at 877-393-3393 or email us sales@SignatureBoston.com.